Let us see evaluation of one of the most used programming language today i.e Java. 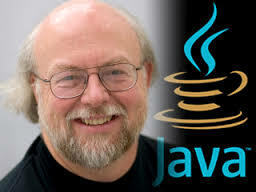 Java language project was started in June 1991 by team of engineers in Sun microsystem including James Gosling, Mike Sheridan, and Patrick Naughton known by Green Team and lead by James Gosling. Java was originally designed for interactive television, but it was too advanced for the digital cable television industry at the time.But it was just right for the Internet, which was just starting to take off. In 1995, the team announced that the Netscape Navigator Internet browser would incorporate Java technology. The language was initially called Oak after an Oak tree that stood outside Gosling's office. However they could not continue with this name as it was already trademarked by Oak Technologies. After lot of brainstorming,team came up with few names like DNA,Silk,Java,Lyric,pepper,Neon,Dynamic,Jolt,revolutionary and few others. DNA,Silk and Java were among shortlisted names and finally Java was selected as final name from Java Coffee. Sun Microsystems released the first public implementation as Java 1.0 in 1995.It promised "Write Once, Run Anywhere" (WORA), providing no-cost run-times on popular platforms. Major web browsers soon incorporated the ability to run Java Applets within web pages, and Java quickly became popular. The Java 1.0 compiler was re-written in Java by Arthur van Hoff to comply strictly with the Java 1.0 language specification. Here is the history of all Java releases with language features included in each release. Thanks for reading.If you found it helpful,share it with others to whom it may be helpful.